When purchasing and using a product, you don’t expect an injury from the product. You don’t expect your child to choke on a harmless-looking toy. Nor do you expect to have serious side effects from a medication your doctor prescribed. But these situations happen every day. Learn more about what products are most likely to be defective and what you can do if you or a loved one suffered real damages as a result of a poorly designed or manufactured product. Today’s medications don’t go through rigorous safety testing before they go to market. In fact, safety testing is done by the pharmaceutical companies themselves and is mediocre, with the goal of pushing the medication to market for profit. Medications can be defective through poor design, poor manufacture, or even the failure to warn or properly label the medication. Tires can become defective a number of ways. They can be poorly designed and are often manufactured with low-quality materials. Tires become defective when they’ve sat on shelves for too long, or when old tires are sold as new. One of the most disconcerting types of products that can become defective are child safety products like car seats. 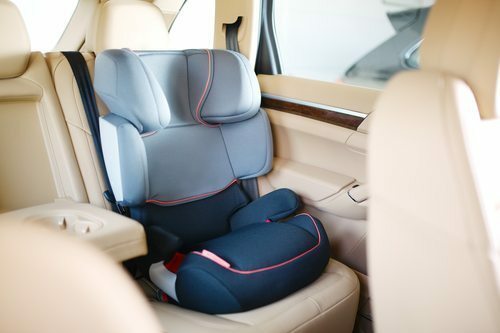 Poorly designed or manufactured car seats can cause a child irreparable harm. This is especially true in car accidents. Other child safety products like cribs and high chairs can also be defective, leading to serious or even fatal injuries. Medical devices like pain pumps, transvaginal mesh, and defibrillators have been defective in certain cases. In some cases, the product is recalled from the market entirely, but in other cases, these products continue to be used for patients, leading to serious harm. The problem with defective products is that you can’t usually tell that a product is, in fact, defective just by looking at it or even inspecting it thoroughly. Usually, something bad has to happen first before you realize that the product you were using was harmful. At Appalachian Injury Law, we can help you bring a case forward against unscrupulous product designers and manufacturers for the damages you’ve suffered. Call today for a consultation at (706) 515-1995 or toll free at (800) 393-8595.